Did you know our website offers 2 different ride calendars? When you select the FWBA RIDE CALENDAR at the top, the choice to view the NON-FWBA RIDE CALENDAR also appears. Toggle back and forth to see all the rides. What’s the difference between the 2 ride calendars? The ride choice is Yours - Be Safe and Enjoy the Ride! The FWBA Spring clothing store is closed!! Ascend will manufacture your order and ship to you directly. Bicycling Magazine published an article named '7 Fantastic Cycling Groups Across the Country' featuring FWBA and six other cycling clubs. Read the article here. FWBA is hosting EHCT this year! We have a great crew of volunteers signed up to help put on the event. If you haven't volunteered to help, there is still time. We have a few jobs left to fill, and would love to have you on the team. If you work for one day, we will give you a free registration to ride the other day. Contact Steve Gray to sign up. Or just register as a rider and come down and enjoy the ride! Austin-to-Ft Worth 2019 is ON! Save the Date - Memorial Day Weekend May 25 - 27! Join us for our 3-day tradition. Reservation are made, Ronnie has re-routed us around the gravel grinder (yay! ), and the National Weather Service has guaranteed us a 3 day tail wind! Registration is not open yet, we will lt you know when we do that closer to the event. But MARK YOUR CALENDAR now! 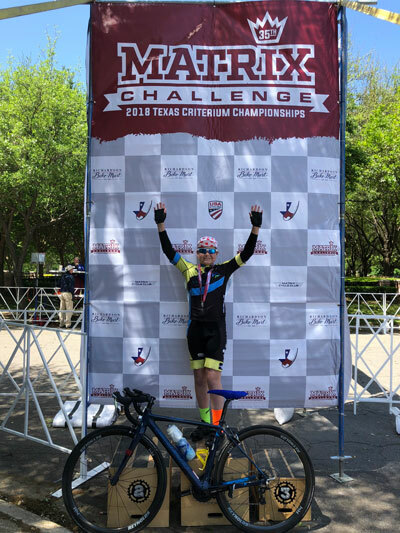 The Texas State Criterium Champion is an FWBA Member! 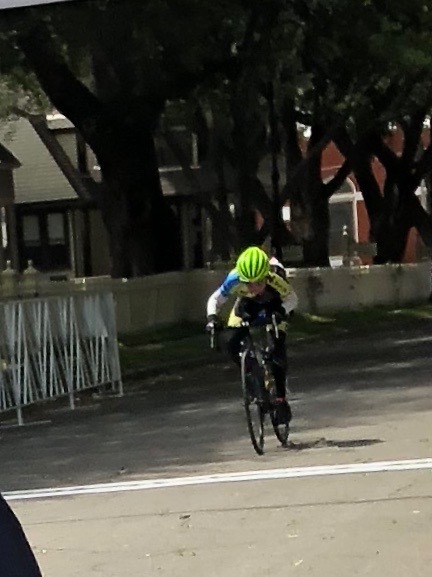 Braxton Boyer is the Texas State Criterium Champion for age based 10-12. This is a goal Braxton and his family have been working toward for a couple of years. Be sure to congratulate him the next time you see him, assuming you can catch him!! We are going to try out something new this year - awards for the "Most Weekend Ride Participation"! The clock is already ticking on 2018, so come on out for as many Saturday and Sunday rides as you can. At the 2018 Christmas Party, we will present awards to our top 10 riders who rode the most Weekend rides. The top award will be a $250 gift card to Bicycles Inc., and the next 9 people will each receive a $100 gift card. The awards are one/family, so if you ride as a couple or tandem team, you will just have to share! - You must register on-line for the rides and be checked in at the ride. - You must ride at least the shortest route on that day's ride. - Your membership must be active through the Christmas Party. - We will total participation from January 1 through December 2. Christmas Party Update - 14 More Seats Available! You all probably know that we have maxed out our reserved number of 80 seats for the party. Cheri got a call today looking for 2 more seats, and I also happened to be able to go down to the Stockyards and take a look at the place. The place is really a nice venue! GREAT NEWS - There is really room for 2 more tables - so we can add 16 additional seats! Two are already taken, so now 14 are left. They agreed to extend our deadline on food order quantity until this coming Tuesday, so registration is back open until Monday!